Christian Brady is the current guitarist of the American band Hellyeah. The former member of Magna-Fi and Überschall joined forces with Chad Gray, Vinnie Paul and Tom Maxwell on 2014 prior the release of their album Blood for Blood. Hellyeah is an American heavy metal supergroup, consisting of former members of Mudvayne, Nothingface and Pantera. 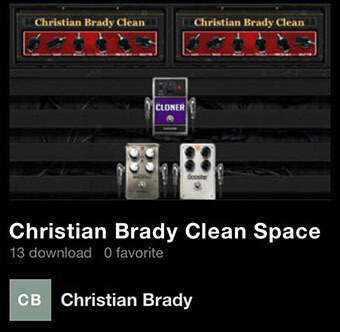 Christian is known for his awesome, searing high gain tone while still maintaing a TON of definition and string separation. 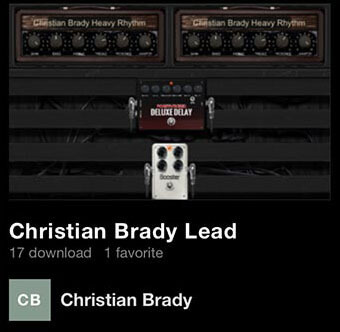 Combine two high gain amps, delay, chorus and reverb and you’ve got HellYeah’s signature lead tone all lumped into one convenient preset designed exclusively by Christian himself! Christian designed this tone with depth and clarity in mind. He needed something clean and articulate while creating a sense of air and space to help really bring this preset to the next level. Push your sonic limits with this ethereal clean tone that combines both chorus and octaver effects!